PRICE DROP FROM $21,898, $1,100 below NADA Retail! Heated Seats, Satellite Radio, Back-Up Camera, Onboard Communications System SEE MORE! Heated Driver Seat, Back-Up Camera, Satellite Radio, Onboard Communications System, Aluminum Wheels, Remote Engine Start, Dual Zone A/C, Heated Seats. Buick Essence with GRAPHITE GRAY METALLIC exterior and EBONY interior features a 4 Cylinder Engine with 138 HP at 4900 RPM*. TRANSMISSION, 6-SPEED AUTOMATIC, ELECTRONICALLY-CONTROLLED WITH OVERDRIVE includes Driver Shift Control (STD), ENGINE, ECOTEC TURBO 1.4L VARIABLE VALVE TIMING DOHC 4-CYLINDER SEQUENTIAL MFI (138 hp [102.9 kW] @ 4900 rpm, 148 lb-ft of torque [199.8 N-m] @ 1850 rpm) (STD), AUDIO SYSTEM, BUICK INTELLILINK RADIO, AM/FM STEREO with 8" diagonal Color Touch Screen, includes 2 USB ports, Bluetooth streaming for audio and select phones and Phone Integration for Apple CarPlay and Android Auto capability for compatible phone (STD). Privacy Glass, Keyless Entry, Child Safety Locks, Steering Wheel Controls, Heated Mirrors. 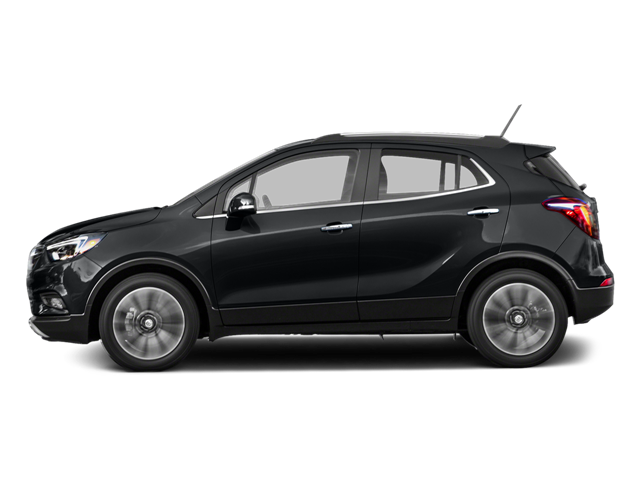 Edmunds.com explains "The 2017 Buick Encore features comfortable front seats and a high seating position that offers a commanding view of the road.". Was $21,898. This Encore is priced $1,100 below NADA Retail. Hello, I would like more information about the 2017 Buick Encore, stock# A16169. Hello, I would like to see more pictures of the 2017 Buick Encore, stock# A16169.